Revelation 13:5 There was given to him a mouth speaking arrogant words and blasphemies, and authority to act for forty-two months was given to him. In the original Greek it states: tessarakonta (40) kai (and) duo (two) men (months). Definitions provided by Strong’s Concordance. Revelation 11:2 Leave out the court which is outside the temple and do not measure it, for it has been given to the nations; and they will tread underfoot the holy city for forty-two months. The temple will need to be built and operational for the antichrist/beast to overtake. The gentiles or non-Jews will be in charge for the same time period, 42 months. This same time period is restated elsewhere in Scripture. Revelation 12:6 Then the woman fled into the wilderness where she had a place prepared by God, so that there she would be nourished for one thousand two hundred and sixty days. The woman is Israel and she is fleeing from the dragon or Satan. She is protected by God during this time period. 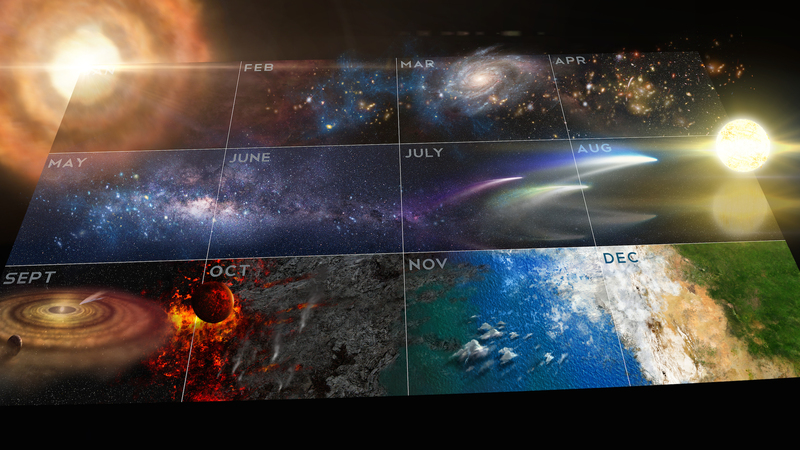 God operates on a 30 day lunar calendar. 1,260 days divided by 30 days = 42 months. Revelation 12:14 But the two wings of the great eagle were given to the woman, so that she could fly into the wilderness to her place, where she was nourished for a time and times and half a time, from the presence of the serpent. 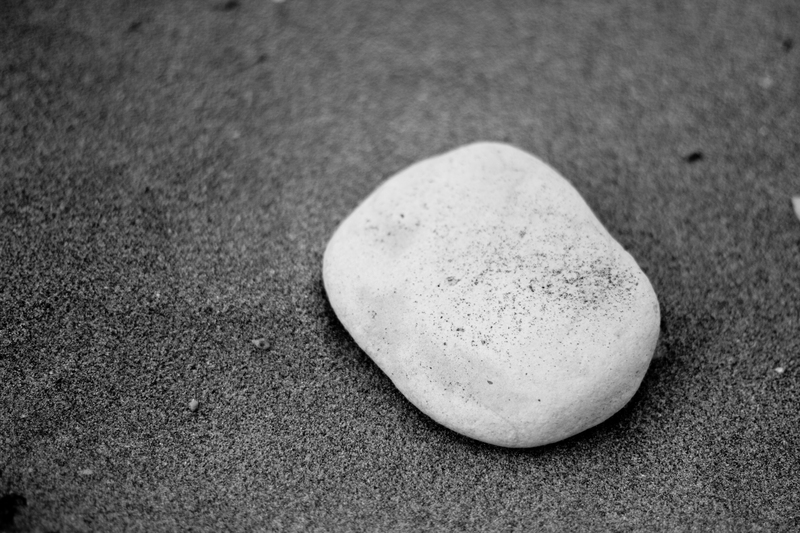 … a time and times and half a time…This is another expression of marking 42 months. The Greek word for time is kairos. It means: due measure of time, hence: a fixed and definite time, the time when things are brought to crisis, the decisive epoch waited for, opportune or seasonable time, the right time, a limited period of time. This expression is noted in Daniel 7:25. He will speak out against the Most High and wear down the saints of the Highest One, and he will intend to make alterations in times and in law; and they will be given into his hand for a time, times, and half a time. It is also in Daniel 12:7 I heard the man dressed in linen, who was above the waters of the river, as he raised his right hand and his left toward heaven, and swore by Him who lives forever that it would be for a time, times, and half a time; and as soon as they finish shattering the power of the holy people, all these events will be completed. In the original Hebrew it states: mow`ed (time), mow`edim (times), chetsiy (half or middle). Time or mow`ed is defined: appointed place, appointed time, meeting, sacred season, set feast, appointed season; appointed sign or signal. In the last half of the seven year tribulation, all Hell will officially break out for…1,260 days = 42 months = time, times, and half a time = 3 ½ years… Take your pick. 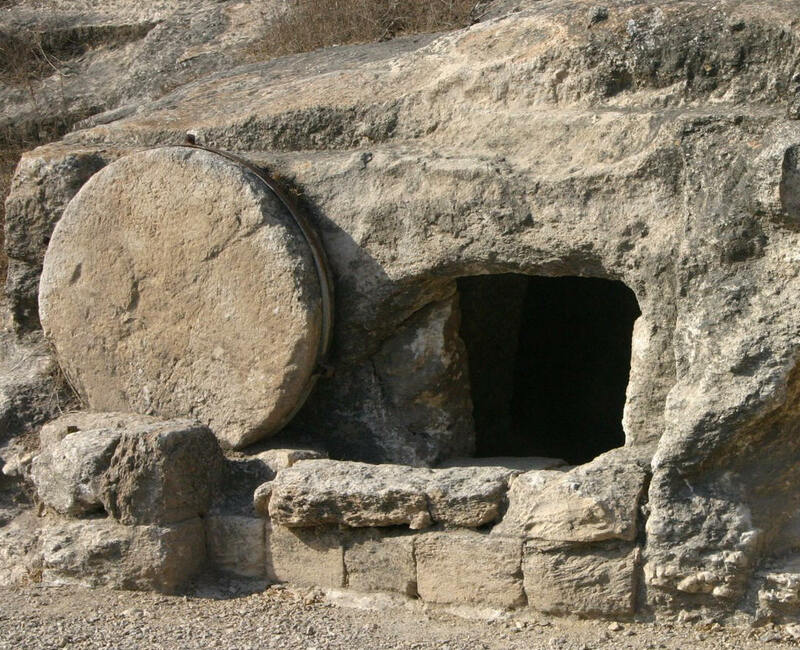 Is this a fake death and false resurrection? Or does the antichrist really die and come back to life? …as if it had been slain, “as if” or hos in the original Greek per Strong’s Concordance means: comparative, as, like, even as, etc. The word for “slain” is sphazo. It means: to slay, slaughter, butcher to put to death by violence, or mortally wounded. Sphazo is the same word used to describe the death of Christ on the cross in Revelation 5:12 …Worthy is the Lamb that was slain… It is also the same word used to describe how Cain killed his brother Abel in 1 John 3:12. … and his fatal wound was healed. The word for “wound” in the original Greek is plege. It also means: blow or stripe. The wound is described as “fatal” or thanatos. The meaning of thanatos is as follows: the death of the body; that separation (whether natural or violent) of the soul and the body by which the life on earth is ended; with the implied idea of future misery in hell; the power of death. The antichrist or beast appears to be dead or literally, physically dies. Then, therapeuo, he is healed, cured, and restored to health. There are two other verses in Revelation that allude to this “resurrection” event as well. They are reminders of what happened previously in 13:3-4. Revelation 13:12b …And he makes the earth and those who dwell in it to worship the first beast, whose fatal wound was healed. Revelation 13:14b … to make an image to the beast who had the wound of the sword and has come to life. All of these happenings leave us with a choice. 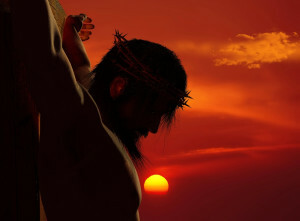 Which resurrection do you believe, the antichrist or Christ? What is promised if you follow the antichrist? The beast will offer lots of big talk and promises. He will trash talk God and Jesus. He will lead in tyranny. 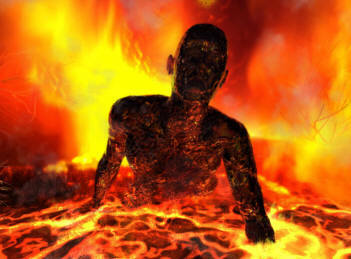 Eventually, one can join him in the Lake of Fire (Revelation 20:10-15). 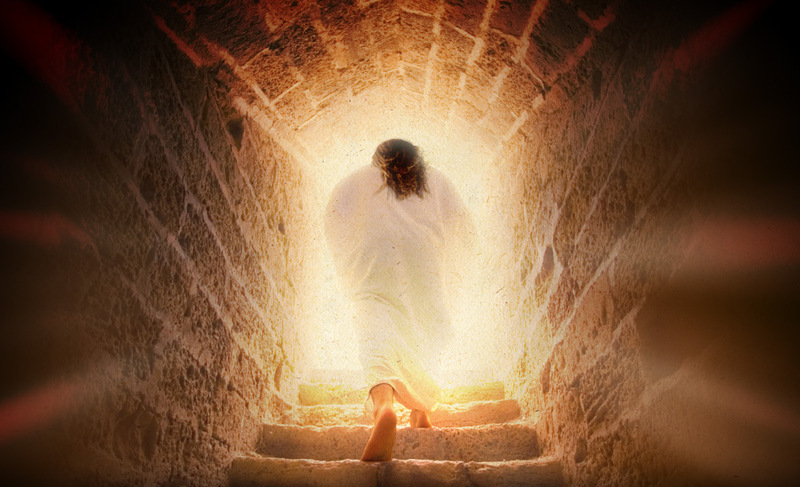 But if you believe in the resurrection of the Prince of Peace…You have the power over death. 1 Corinthians 15:54-57 But when this perishable will have put on the imperishable, and this mortal will have put on immortality, then will come about the saying that is written, “DEATH IS SWALLOWED UP in victory. O DEATH, WHERE IS YOUR VICTORY? O DEATH, WHERE IS YOUR STING?” The sting of death is sin, and the power of sin is the law; but thanks be to God, who gives us the victory through our Lord Jesus Christ. Revelation 17:7 states it will interpret all of this and explain. And the angel said to me, “Why do you wonder? I will tell you the mystery of the woman and of the beast that carries her, which has the seven heads and the ten horns. The verse above (13:1) will be clarified so we can understand. Guess work and speculation are not involved. Revelation 17:9 Here is the mind which has wisdom. The seven heads are seven mountains on which the woman sits… Heads are mountains. Revelation 17:18 And the woman whom you saw is that great city which reigns over the kings of the earth. The woman is a city. The city (woman) sits on seven mountains (heads). This is a geographical clue as to the location of the city. Where in the world are cities that sit on seven mountains? These four major cities are candidates that fit this criteria: Rome, Mecca, Moscow, and Constantinople. We also know the city has to be a sea port from Revelation 18. That rules out Moscow. This blog is of the position Rome is not the city based on the evidence presented in Daniel 8. See the attached post regarding Daniel 8. That leaves Mecca, Saudi Arabia and Constantinople, Turkey. 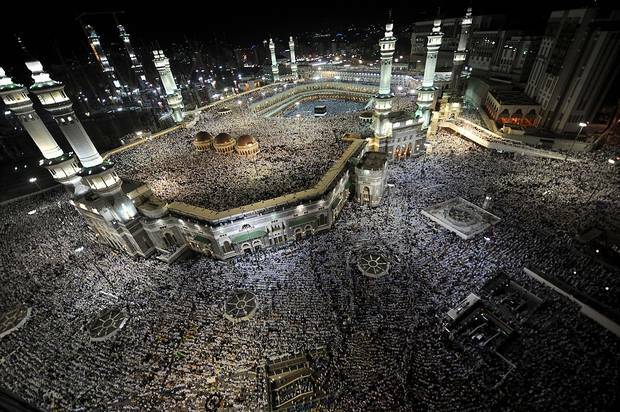 Mecca, Saudi Arabia is home to Islam’s holiest site. See the following posts regarding Constantinople or Istanbul, Turkey. Diadem is a word that has been transliterated from the original Greek word diadema. Per Strong’s Concordance it means: the kingly ornament for the head, the crown. The ten leaders mentioned in the verse have crowns. The verse confirms their leadership. Blasphemous names…Blasphemous is also a word that has been transliterated from the Greek word blasphemia. Per Strong’s it means: slander, detraction, speech injurious, to another’s good name; impious and reproachful speech injurious to divine majesty. All ten of these leaders are going to be anti-God of the Bible. It makes sense. They are part of the Satanic leadership structure. The antichrist is going to lead a ten nation confederation that is hostile to God and Jewish people. The antichrist is going to turn on the city which sits on seven mountains as well. 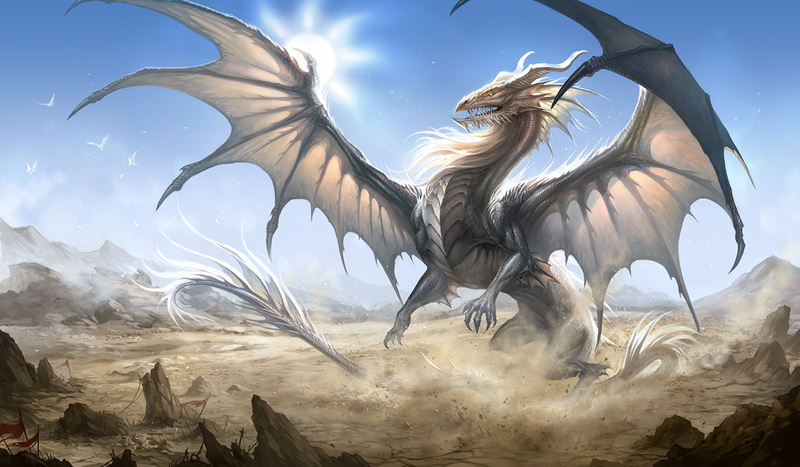 Who is the dragon? That is answered in Revelation 12:9. And the great dragon was thrown down, the serpent of old who is called the devil and Satan, who deceives the whole world; he was thrown down to the earth, and his angels were thrown down with him. Chapter 12 of Revelation discusses how the Satan and his angels have been ejected from Heaven to Earth. He is described as having great wrath or thumos in the Greek. Per Strong’s Concordance, thumos means: passion, angry, heat, anger forthwith boiling up and soon subsiding again; glow, ardour, the wine of passion, inflaming wine (which either drives the drinker mad or kills him with its strength). This anger is modified as great or megas (used of intensity and its degrees: with great effort, of the affections and emotions of the mind, of natural events powerfully affecting the senses: violent, mighty, strong) in the Greek. To say Satan is not happy is an understatement. The focus of his angst will be Israel. 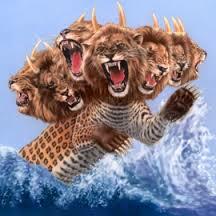 Then I saw a beast coming up out of the sea… From where does the beast or antichrist emerge? Is he Jewish or gentile? This is a topic of great debate. There are reasonable presentations suggesting he is Jewish. Our eternal salvation is not dependent on this issue. Bible believing people can respectfully disagree. This blog’s position: The antichrist is a gentile. The antichrist is the last leader of the times of the Gentiles. In today’s world (January 2015), would the United Nations allow a Jewish man to be Secretary General? Would the Muslim world be agreeable to this idea? Stranger things have happened. Jerusalem, Israel is going to be pummeled prior to the return of Christ. Of those Jews who are not killed, the antichrist will try to disperse the Jews again from Israel. He wants to purge Israel of their people. Luke 21:24 …and they will fall by the edge of the sword, and will be led captive into all the nations; and Jerusalem will be trampled underfoot by the Gentiles until the times of the Gentiles are fulfilled. Historically, Gentiles have lead invasions of Israel. Gentiles persecute the Jews. Look at the leaders who have done this in the past: Nebuchadnezzar (Babylon), Tiglath-Pileser (Assyria), Antiochus Epiphanes (Greek King, Seleucid Empire), also Nero and the Romans. Would a Jewish leader of a foreign army launch an invasion of Israel? In the Bible, the sea is equated with gentile nations. There are examples in the Old Testament and New Testament. Isaiah 17:12 Alas, the uproar of many peoples who roar like the roaring of the seas, and the rumbling of nations who rush on like the rumbling of mighty waters! Luke 21:25 There will be signs in sun and moon and stars, and on the earth dismay among nations, in perplexity at the roaring of the sea and the waves. A primary key to understanding and interpreting Revelation 13:1 is given later in Revelation 17. In regards to the beast coming out of the sea…Revelation 17:15 And he said to me, “The waters which you saw where the harlot sits, are peoples and multitudes and nations and tongues.